Apply for PEC Jobs 2019 Pakistan Engineering Council Application Form Download Online. One of a well-known council of Pakistan named Pakistan Engineering Council is inviting the highly educated, very experienced, hardworking and well-disciplined candidates are eligible to apply for the following vacancies. 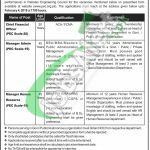 Jobs in PEC-Pakistan Engineering Council are (Chief Financial Officer, Manager Admin, Manager Resource). These positions are going to recruit for its Headquarter Islamabad, Regional Offices which are located at Karachi, Lahore, Peshawar & Quetta. These posts carry attractive salary package with the awesome atmosphere will be given to the applicants. Now, I will let you know about its further details below. PEC is abbreviated as Pakistan Engineering Council is the Federal Government Council of Pakistan which is the federal Institution which is responsible for the accreditation and regulation of the chartered professional engineers and is promoting the educational program in applied sciences, computing and engineering. Being a Federal Govt organization it offers Govt Jobs of all levels Masters to Graduation level. For the above posts, the applicants should be having ACA/FCMA/MBA/BBA qualification with relevant 03 to 12 years expertise and skills are needed to apply for such posts. Age limit should be 45 to 50 years. Candidates are required download application form from the official site of PEC which is www.pec.org.pk or through web link given below. Duly filled application form along with attested copies of educational certificates, experience certificates, CNIC, Domicile and recent photograph should reach on the following address given below. Persons already serving in any Govt / Public / Autonomous Organizations must obtain NOC from the respective department. The candidates shall be required to bring original certificates/documents at the time of interview. PEC JobsJoObssHere Last Date to Apply: February 04, 2019. 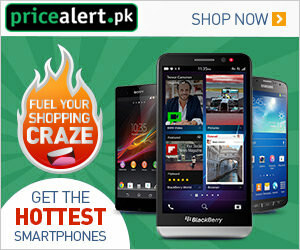 Address: Pakistan Engineering Council (PEC) Ataturk Avenue (East) G-5/2, Islamabad.